IMG_8389, originally uploaded by Pink Lady on the Loose!. This is the first time I've ever made a bag for myself instead of buying it. I knitted this in only 10 days and the total cost is probably about 2 euros (for the yarn, which was from a discount shop). 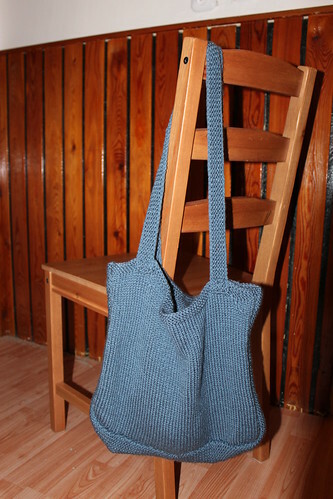 I am sure that this will be the first of many purses and bags that I knit, since I'm a total purse-freak; I buy more all the time. So maybe now I can be more self-sufficient when it comes to purses.